M Karunanidhi's son MK Stalin has been elected as president of the Dravida Munnetra Kazhagam (DMK) at the party’s General Council meeting on Tuesday. More than 5000 people, including general council members and guests, were present at Anna Arivalayam, the DMK headquarters in Chennai, Tamil Nadu. MK Stalin has been elected as president of the Dravida Munnetra Kazhagam (DMK) at the party’s General Council meeting on Tuesday. More than 5000 people, including general council members and guests, were present at Anna Arivalayam, the DMK headquarters in Chennai, Tamil Nadu. In 2017, at the last DMK general council meeting, Stalin was appointed as working president and since then was poised to take over the reins of the party from his father, the late M Karunanidhi. After Karunanidhi’s death, earlier this month, succession war within the party, with the expelled leader and Stalin’s brother MK Alagiri, broke out. Despite being expelled from the party, Aligari had claimed that “true loyalists” of the DMK were on his side. 10:40 am | DMK passes a resolution at party’s General Council meeting urging the Centre to confer Bharat Ratna to former Tamil Nadu M Karunanidhi. 9:50 am | The decision to elevate Stalin will be unanimous, meanwhile, party principal secretary Duraimurugan, will fill the position of treasurer, which was earlier held by Stalin. 9:25 am | Four resolutions to be passed by the general council meeting. The third resolution will be electing Stalin as party president and as per party by law, General Secretary of the party Anbazhagan will formally announce new President and treasurer. 9:20 am | MK Stalin set to be elected unopposed. 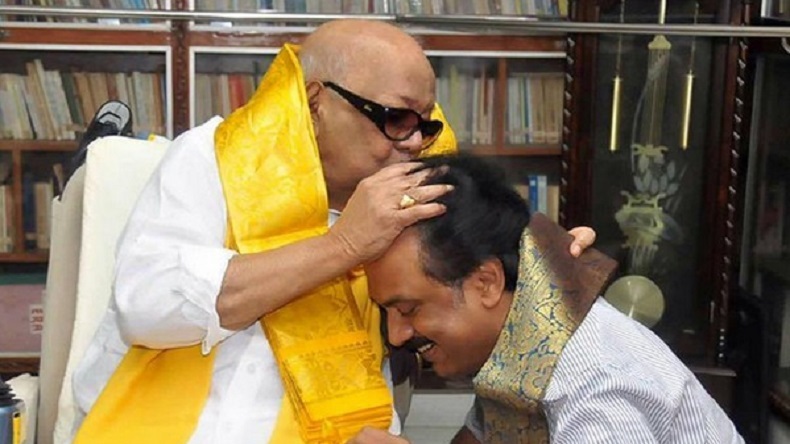 He’s the only nominee for DMK’s president post. 9:00 am | After being elected as president, Stalin is expected to meet his mother and then pay homage to his father and former DMK president M Karunanidhi and party founder C N Annadurai at their memorials at Marina beach.